Last Friday, I was in the car with my mom; she had come to get me from school so I could go home for the weekend. I suddenly let out a disappointed, “Oh, man.” She asked what was wrong. “I forgot my DC United jersey. Damn it. They’re playing tomorrow.” I went on to explain that Saturday’s match was really important because it could seal a playoff spot (my mom pretended to care). I joked that I hoped they didn’t lose because I wasn’t wearing my jersey. Once I got home, though, I remembered that I actually had a DCU t-shirt in my closet there. It was something free from years ago that my sister had given me. It’s too big and I’ve only worn it a couple of times at most. But I dug it out and on Saturday I pulled it on, a decent substitute for the forgotten jersey hanging miles away. I also realized that the shirt was from 2007. Perhaps, then, it was an appropriate shirt to wear on the night that DC United clinched its first playoff berth since 2007. Saturday night’s 3-2 victory over the Columbus Crew released a shower of beer over the ecstatic fans packed into RFK’s bouncing stands. The win also unleashed a flood of emotions -- not disappointment or anger or frustration, as were so common for the past five years, but rather elation, pride, satisfaction. When Lewis Neal’s 91st goal hit the back of the net, the players and coaching staff celebrated like they’d just won the MLS Cup. The season wasn’t over, but the season’s primary goal had been accomplished -- make the playoffs; participate in the post-season; succeed. While there is still work to be done, labeling DC United’s 2012 season as successful isn’t premature, though the success has been somewhat of a rollercoaster ride. Start with the coach, Ben Olsen. He’s still relatively new at this; he’s the youngest coach in MLS right now. And he’s been fighting a massive uphill battle since he took over in 2010. But he’s grown as a coach -- he doesn’t suit up in training gear for practice anymore (at least not as a general rule); he suits up Barney Stinson-style to take his place on the sidelines (Best Dressed Coach in MLS, no other applicants, please). He hasn’t shed his player persona, though. He has simply morphed it into a coaching persona. He is still Ben Olsen. 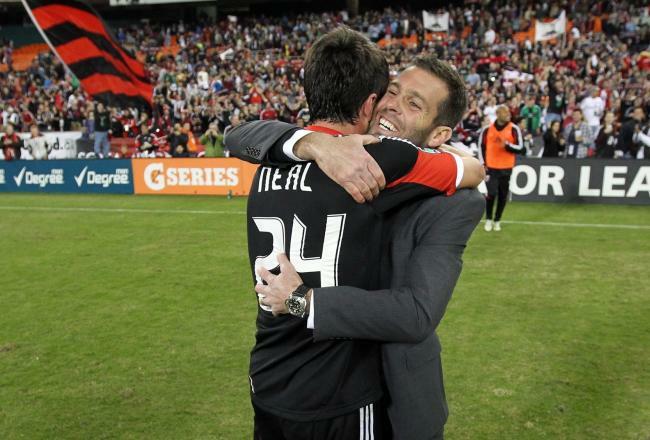 He is still the heart and soul of DC United. Of course, coaching requires more than a can-do attitude. Olsen’s lineups this season have been ever-changing and often perplexing, but they have also, on the whole, been effective. Have there been questions about not starting new DP Hamdi Salihi? About Branko Bošković’s fitness? About playing Lionard Pajoy or, briefly, Long Tan? Yes. There have been questions upon questions. There has also, recently, been a bigger question: how does the team succeed without Dwayne De Rosario? Last season, Chris Pontius broke his leg and DCU promptly fell apart. This season? This season DeRo went down and the team rose up. A real team, indeed. DC United is, simply, a different team than it was last year and the years before that. When you remember that Pontius, at 25, is currently the club’s longest-tenured player, you get an idea of the overhaul the team has experienced. A year ago DCU didn’t have the team to see out a season -- they didn’t even have the team to see out a 90 minute game. And in the first game of this season, at home against Sporting Kansas City, it seemed that United’s woes were about to start all over again. They were outplayed by an SKC side that was about to go on a seven game winning streak, but they held on at 0-0 until the 93rd minute. That was when CJ Sapong headed a corner kick into Bill Hamid’s net. Oh, here we go again. The next game didn’t help matters. DC traveled to Los Angeles and got handily beaten by the Galaxy, though a late goal from rookie Nick DeLeon served as a lone bright spot. Next, a 0-0 draw at Vancouver was not great but at least passable. Then came the Dallas game: at home, on national television. United, frankly, needed a win because anything else was going to send the fans further down into the “oh, it’s this again” spiral that the loss to Kansas City had so perfectly kicked off. But, somehow, the team that took the field against Dallas was high-flying in attack and ended up winning 4-1 after Maicon Santos opened the scoring with an absolute scorcher from distance. Things began to look up. DC United actually won games. They won well. They won ugly. They won when they deserved to win and they won when maybe they didn’t deserve to win. They also lost, and tied, and sometimes they played like crap while other times they played wonderfully. 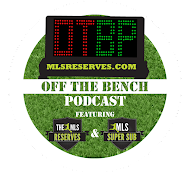 Guys kept getting injured, so Olsen trotted out his different lineups each week, constantly tinkering to get things right. He never really settled on an absolute starting eleven despite saying that he’d like to. Sure, he’d have liked to. And I’d have liked to see Pontius score a hat trick against New York every weekend. The road to the playoffs this season has been anything but easy. It’s been bumpy. A couple weeks ago, it was a real possibility that DCU would miss out yet again. But every part of the team has contributed. It’s not just the “stars” DeRo and Pontius -- it’s back-up keeper Joe Willis briefly taking Bill Hamid’s spot; it’s Chris Korb stepping up for Daniel Woolard (who himself was somewhat surprisingly fantastic at left back); it’s Andy Najar switching to right back in Robbie Russell’s place; it’s Nick DeLeon, as a rookie, quickly becoming integral; it’s Lewis Neal and Marcelo Saragosa and Maicon Santos all playing significant roles that many did not expect them to play; it’s Branko Bošković actually, well, doing something; it’s even, yes, Hamdi Salihi scoring a goal here and there to help get results. This is a real team. Over in Houston, the Dynamo are unbeaten in their brand new home stadium. In the District, though, crumbling RFK Stadium has once more become a fortress. DC United set a goal this season of taking back RFK, and except for that opening day loss, they are unbeaten at home. 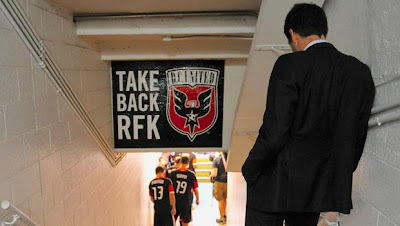 The victory against Columbus ensured that RFK was, indeed, taken back. The question now is how far DC United can get in the playoffs, but as far as I’m concerned, this season has been a success. Wow! Every time I see a man on a suit, he looks dashing. Always reminds me of Barney Stinson on his custom made suits.